Krishna Vedati doesn’t want your children to just watch Saturday morning cartoons. He wants them to make their own. Vedati is the CEO of Tynker, a “learn to code” platform for kids in third through eighth grade, one of many that have popped up in recent years aimed at parents who think computing skills are critical for their children. But rather than focus on computer languages like HTML, the Mountain View, Calif.-based startup teaches kids how to think like a programmer, he said. Consumers might want what Vedati’s offering, in the waike of results from a pilot of Tynker in Bay Area schools over the past year. The startup, which has raised $3.5 million in angel funding, was inundated with 10,000 new requests after opening up to educators nationwide earlier this month, the majority from parents eager to get their hands on a home version of the coding platform. Vedati estimates that a home-based edition should be ready in the next couple months. However, for now, Tynker is only available to schools. The platform is free for educators, with an option to pay and upgrade to premium. Vedati’s own son went to a coding camp at Stanford University and, two weeks later, was able to build a Flash player game. Still, Vedati noticed that he had merely learned how to regurgitate the pre-scripted instructions for building the game, without any understanding of programming’s fundamentals. It got Vedati thinking. How could he and the rest of the Tynker team design a platform that could convey the conceptual logic behind programming to kids in a structured and, more importantly, fun manner? It was the ideal project for Vedati, an engineer turned entrepreneur. He has been coding since his university years in India, where his love of video games drew him to the field. 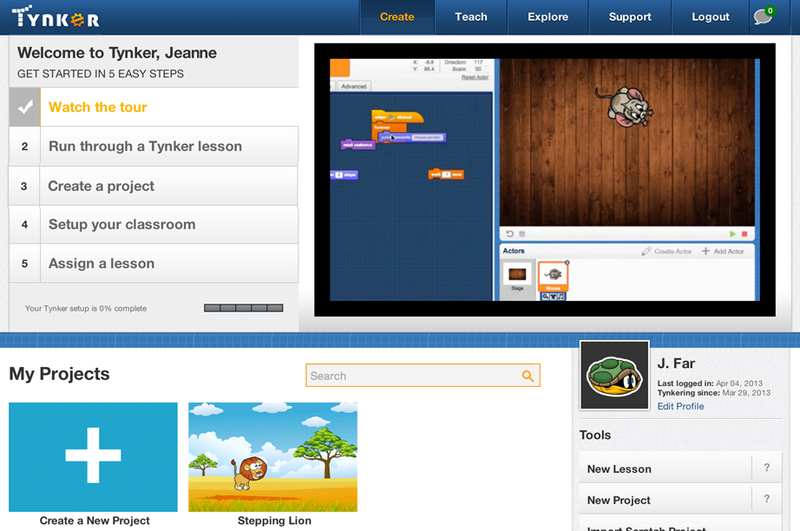 With Tynker, kids are introduced to coding through a simple, visual platform that allows its young users to create games and basic animations with nary a line of code in sight. 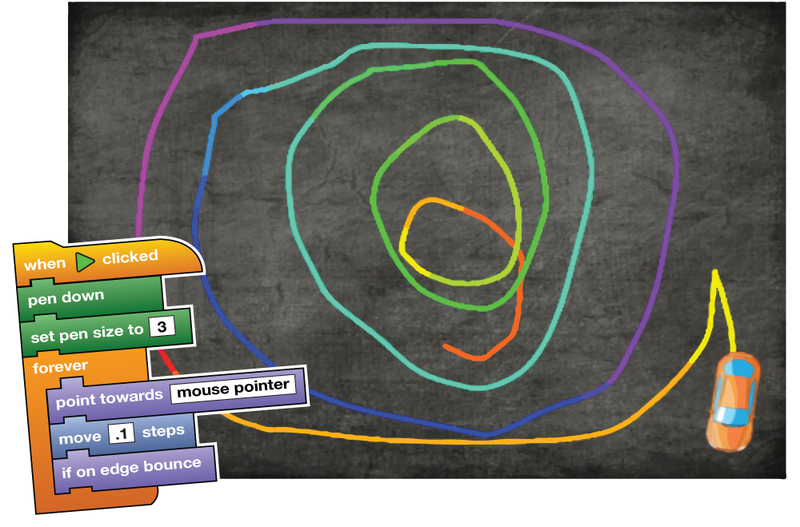 Its drag-and-drop design is similar to Scratch, another kid-friendly coding language conceived at MIT. One of Tynker’s simplest concepts is animating a character and teaching it how to walk and talk. In general, Vedati says girls focus on storytelling and characters, while boys gravitate towards designing games. And, in general, the coding projects grow more complex as the children get older. Whereas third graders are happy to make anything they can show their parents, eighth graders want to build multilevel games.